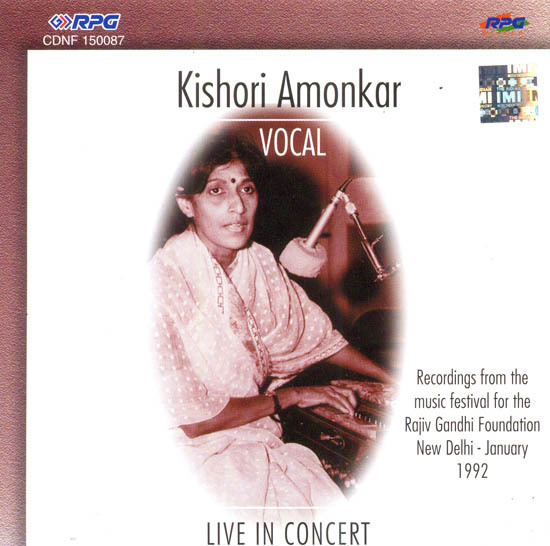 Kishori Amonkar is acclaimed today as a leading exponent of the Jaipur Gharana. She received her early training from her illustrious mother, Smt. Moghubai Kurdiakr, who is one of the widely respected and renowned disciples of the late khan Saheb Alladiya Khan. In the young charge of Kishori the traditional form of Jaipur Gayaki has acquired a new form and a new grace. Kishori pursues her art with a fevour that contains a unique combination of grace and virility. She experiment but does not toy with tradition. She has lent to the conventional Khayal an emotional content which it lacked in orthodox hands. But grace and emotion do not sum up her art. A spirit of invasion characterizes the complicated patterns of her taans. A listener lost in the graceful nuances of her notes is led to a new vista in which the accent is on strength rather than on sweetness. It takes the form of sweet strength. Kishori’s imagination knows no limits for the sky is the limit. A proud disciple of the Jaipur Gharana, she feels no condescension in combining in her style the best of the other gharnas. Her aspiration is not a rigid adherence to convention but to put before her listeners a thing of beauty to recreate a dream whose fragrance will linger in their memory long after they leave the baithak in the early hours of a misty morning.